From February 3 through the 13 the streets of Santa Barbara were filled with film lovers, food and beverage aficionados. Sponsors and VIPs filled the lobby of the historic Hotel Santa Barbara to share news on the bevy of films being screened, and a milieu of parties hosted film makers, award winners and VIPs to celebrate with beverage sponsored sips and tastes. The Arlington Theatre was home to the Dom Perigon Lounge (known as the green room) were those being honored with awards relaxed before and after award presentations. The Hennessy Lounge was visited by all the celebs as well, where they seemed delighted to take home a signature bottle of Hennessy Paradis Imperial Cognac. The Arlington Theatre was sold out for the eleven nights of the festival and packed with enthusiastic attendees. The 2016 festival tributes have become a renowned showcase for Academy Award� frontrunners. Panels of the best in film were also a favorite, featuring outstanding writers, performers, and producers. The 31st event opened with the Premiere of THE LITTLE PRINCE, directed by Mark Osborne and featuring the voices of Jeff Bridges, Rachel McAdams, Paul Rudd, Ricky Gervais, James Franco, Mackenzie Foy and Benicio Del Toro. THE LITTLE PRINCE is based on the classic tale of the same name by Antoine de Saint-Exup�ry. It included The Maltin Modern Master Award for Johnny Depp, Actor/Director, who was presented the award by Scott Cooper, and the interview was done by Leonard Malton. UGG was the sponsor for this award and it was a sell out! Depp visited the Hennessy Lounge following the presentation. The American Riviera Award sponsored by Engle & Volkers honored Michael Keaton, Rachel McAdams and Mark Ruffalo for their work in �Spotlight� and was moderated by Roger Durling, SBIFF Executive Director. McAdams was stunning in a Jonathan Simkhai gown. The Virtuoso Award sponsored by Travel and Leisure was presented to Elizabeth Banks (LOVE & MERCY), Joel Edgerton (BLACK MASS), Paul Dano (LOVE & MERCY, YOUTH), Jacob Tremblay (ROOM), Alicia Vikander (THE DANISH GIRL, EX MACHINA), O�Shea Jackson Jr. (STRAIGHT OUTTA COMPTON) and G�za R�hrig (SON OF SAUL) in recognition of the year�s emerging film artists. The evening was be moderated by Dave Karger, Chief Correspondent and host of �The Frontrunners� on Fandango. Moderator Dave Karger, and Leonard Maltin presented the their awards. The Outstanding Performers Award went to Brie Larson and Saoirse Ronan. The moderator was Pete Hammond. The Outstanding Performers of the Year Award sponsored by Dom Perignon. Ronan (wearing a Chloe dress and Jimmy Choo shoes), walked the carpet in Santa Barbara while Brie was regrettably unable to attend in person. She did however Skype into the presentation moderated by Pete Hammond. 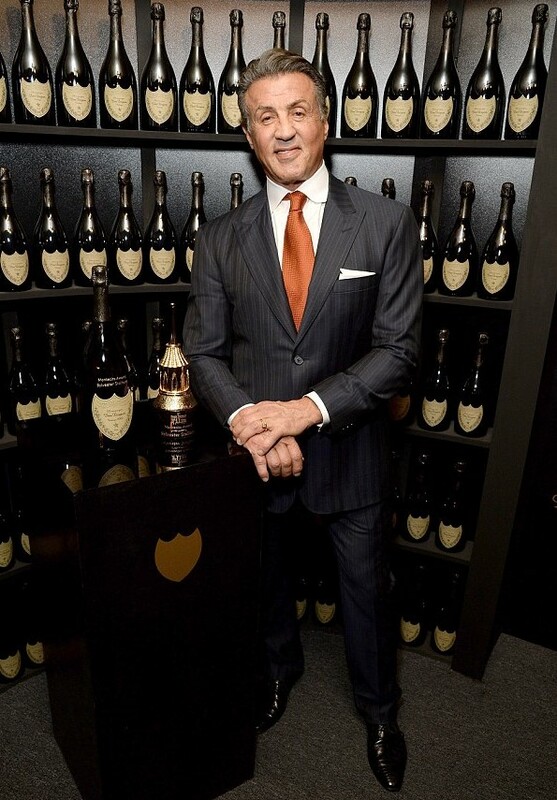 The Montecito Award was presented to Sylvester Stallone and was sponsored by Hennessy. The night was a total knockout with Sylvester Stallone receiving the festival�s esteemed Montecito Award. Stallone arrived arm and arm with his wife Jennifer Flavin. The in-depth conversation was led by Deadline�s Pete Hammond. At the end of the conversation, the original Apollo Creed Carl Weathers said a few words and present Stallone with the award. Guests then made their way to the festival's Dom Perignon Lounge to celebrate the evening. The Variety Artisan Award was moderated by Variety�s Sr. VP Awards Editor, Tim Gray. The Tribute evening held at the Lobero Theatre celebrated those essential to the film making process and who have exhibited the most exciting and innovative work of the year in their respective fields. They included Carter Burwell, Todd Haynes, Adam McKay, Mark Mangini, John Seale, Patrick Tubach. And Diane Warren, for original song in Radius� documentary �The Hunting Ground. Outstanding Director Award honorees included Lenny Abrahams, Alejandro G. I��rritu, Tom McCarthy, Adam McKay, and George Miller who were joined by moderator Scott Feinberg from The Hollywood Reporter to discuss their work and career journeys that had brought them to this award presentation. Outstanding Director Award was sponsored by The Hollywood reporter and was moderated by THR�s Scott Feinberg. Rooney Mara took home the Cinema Van Guard Award, and arrived wearing a flowing white Givenchy ensemble. arrived at the historic Arlington Theater in a flowing white Givenchy ensemble. She was joined on the red carpet by Carol director Todd Haynes, Mara told the audience that the two actresses had to go to real couple's therapy to fully explore their dynamic as a divorced pair. Unfortunately unable to attend in person, co-star Cate Blanchett appeared via taped message. Closing Night showcased Terrance Malick�s experiential KNIGHT OF CUPS at its US Premiere at the Arlington Theatre as the festival�s Centerpiece Film. The highly anticipated film stars Christian Bale, Natalie Portman, Cate Blanchett, Frieda Pinto, Isabel Lucas, Imogen Poots, Wes Bentley, Brian Dennehy and Teresa Palmer, among others attended. 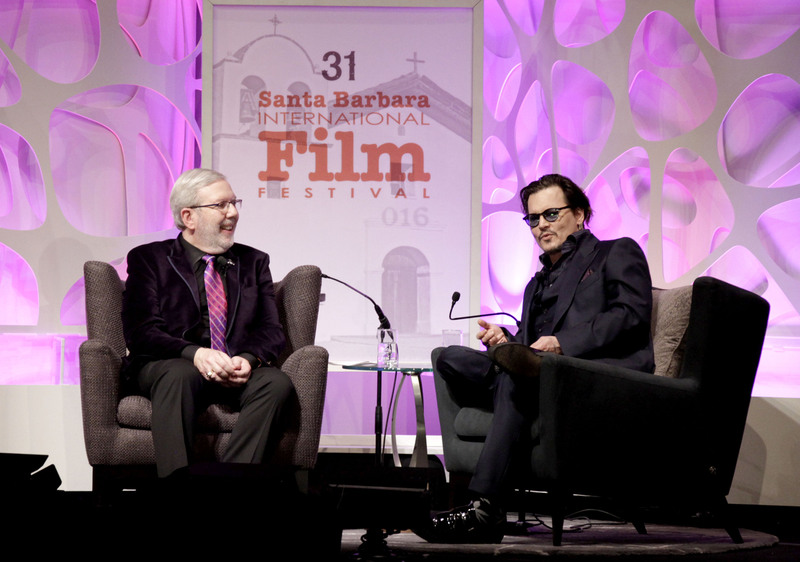 Congratulations to Festival Executive Director Roger Durling, the SBIFF Board and Staff on yet another great festival honoring the world of film. A heart felt thank you to the army of Santa Barbara volunteers who donated their time to keep everything moving, the local restaurants participating in the Festival Film Feast that provided delicious bites and sips to festival attendees, and the media from around the world who came to cover the festival. For more details visit: www.sbiff.org. www.domperignon.com, www.hennessy.com. 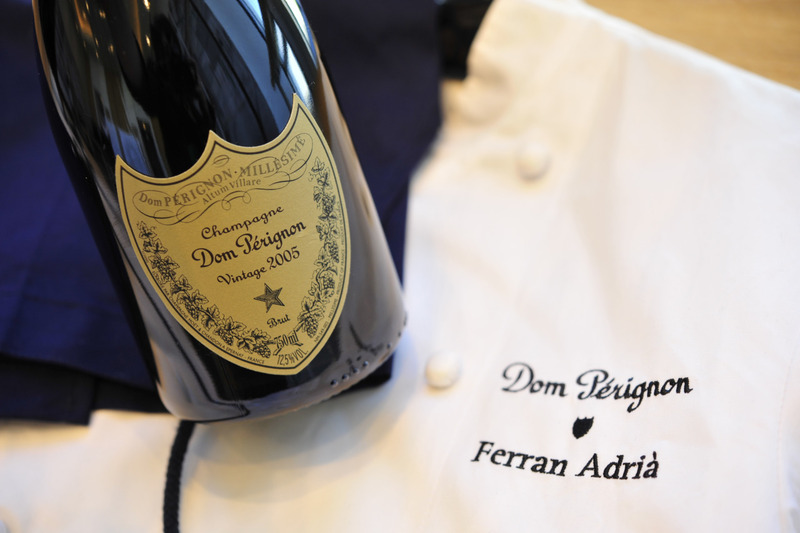 For many years now the Dom Perginon Champagne has been a delightful sponsor and staple at the Santa Barbara International Film Festival, and had been enjoyed at private parties and enjoyed by celebrities in the 'Green Room' befor and after award presentations. 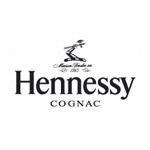 Enjoy a winter cocktail by Hennessy at home to celebrate the winners. The French connection of Hennessy and Grand Marnier meet together beautifully in this adapted classic. 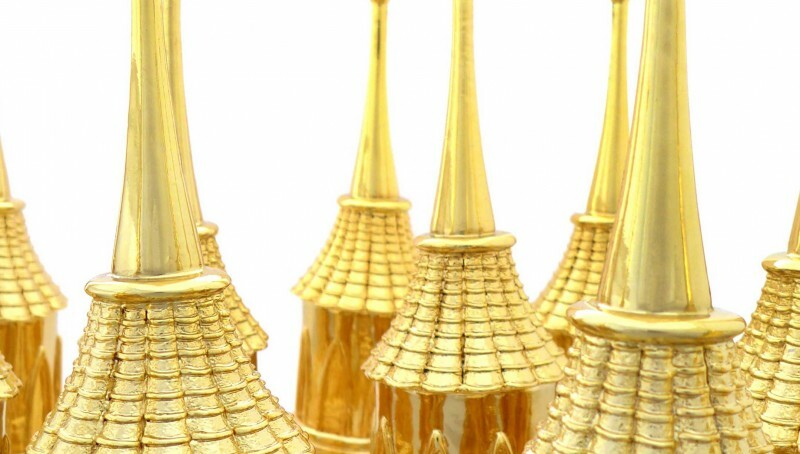 Deep notes of spice meets candied fruit and plays a warming note across the palate, a perfect nightcap. Cheers! Amador County welcomes the summer season with its single-varietal wine tasting event, the Barbera Festival, celebrating this increasingly popular varietal known for pairing well with food and as a stand-alone sipping wine. The sixth annual Barbera Festival showcases more than 80 wineries from all over California, and takes place June 11 at the scenic Terra d�Oro Winery/Montevina Vineyards located just above the Sierra Foothill town of Plymouth, Calif. The Barbera Festival has caught the attention of legions of wine lovers from across the West and has sold out every year. Set in a beautiful meadow under the shade of magnificent oaks, the event provides attendees with the unique opportunity to compare and contrast this versatile varietal, including four barberas from Italy selected by Darrel Corti. The festival features extensive wine tasting along with gourmet barbera-friendly food prepared by the region�s top chefs and purveyors, live music, and wonderful hand-crafted works by local artisans. New this year, a hands-on sensory station enables attendees to learn about the aromas and flavors characteristic of the varietal, and about barrels, toasts and soil compositions. 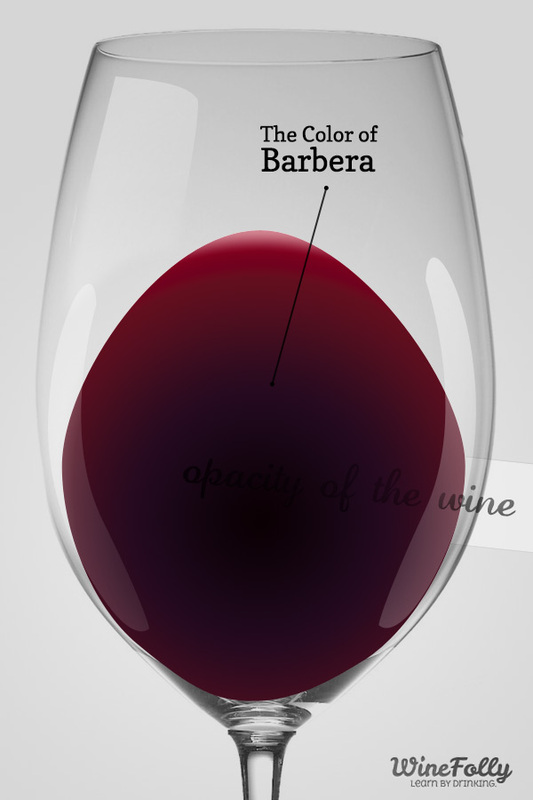 Barbera originated in the Piemonte region of northern Italy, and today nearly 200 California wineries produce the varietal, which is known for its low tannin and generous acid structure yielding a smooth, food-friendly wine. Barbera styles range from bright flavors of tart cherry, raspberry and spice, to riper styles evoking flavors of black cherry, blueberry, blackberry and vanilla. Amador�s first barbera vineyards were planted at Terra d�Oro Winery/Montevina Vineyards in the early 1970s, and area winegrowers have been perfecting their harvest ever since. Amador County vintners are now touted as producing some of the finest barberas in California, adding to the increasing popularity of this varietal. The Barbera Festival was founded in 2011 by Brian Miller and Deirdre Mueller, owners of the Amador360 Winery Collective tasting room. Their goal in creating the event was to celebrate barbera�s rich history in California and to help introduce this up and coming varietal to new fans. The Barbera Festival takes place from 11 a.m. to 4 p.m. on Sat., June 11, 2016. Tickets cost $50 ($40 for designated drivers) and must be purchased online in advance. Tickets go on sale March 1, and include admittance, wine tasting, live music and a commemorative wine glass. A one-day onsite sale of tickets is also planned at Terra d�Oro Winery/Montevina Vineyards on Feb. 27. Food, provided by top restaurants and caterers, is sold separately, and parking is free. For more information, go to BarberaFestival.com. About the Barbera Festival: The Barbera Festival was founded in 2011 to celebrate the barbera varietal. The event quickly garnered attention throughout the West and in 2015 moved to the beautiful grounds of Terra d�Oro Winery/Montevina Vineyards, the original home of barbera in Amador County. The festival, which also helped launch the immensely successful Amador Four Fires festival, features more than 80 wineries from across California, fine local cuisine, live music and regional artists. Terra d�Oro Winery/Montevina Vineyards is located at 20680 Shenandoah School Road in Plymouth. All proceeds benefit the non-profit Amador Community Foundation. For more information, or to purchase tickets, go to BarberaFestival.com.